They say size doesn't matter… however, at Twitter it actually does! :) How can you express yourself, knowing that you MUST use no more than 140 characters? How can you tell everything about Avast and still fit within this number? How can you respond to Avast users knowing this limitation? Well, by setting up and communicating daily via our avast! Twitter account, we have accepted this challenge and now we have one for you… But before we get there, let me tell why you should start following us on Twitter. When we started pro-actively working with Social Media, we didn't expect that three years later we would gather nearly 3,000,000 followers across different social networks. Following Facebook with 2.7 million fans, our second important communication channel for Avast remains Twitter. With over 85K followers, we communicate daily with people all over the world. What you can find on our Twitter account? For sure hot AVAST news, such as product information, stats from avast! Virus Labs, warnings regarding newly detected threats, and security tips. We also actively provide technical support. (If you are avast follower we can send you a direct message, in order to protect your privacy). . Additionally, we monitor technology articles from all over the word to share news about social media threats, cybercrime, or simply recommend news from the technology area (mobiles, PCs, Mac, Android apps, etc). So if you would like to stay up-to date, and if you are not afraid to stay within the 140 character limitation, please follow and write us on Twitter . 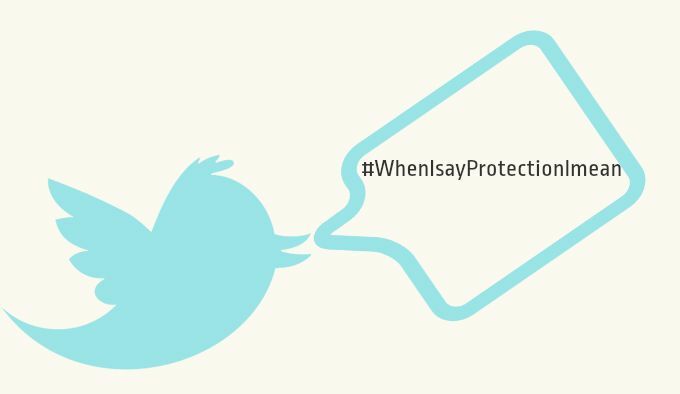 Now the fun part: Use following hash tag: “#WhenIsayProtectionImean” to let everybody know the first thought that comes to your mind when you think of security. Could it be Avast? J We will award the best one with a free avast! license and of course re-tweet! Be creative, be funny, be free.